This idea is not my original idea. A few years ago at a “California Mountain Unicycle Weekend” a guy named LobbyBobster on the unicycle forums brought one and I gave it a try with Beau Hoover. 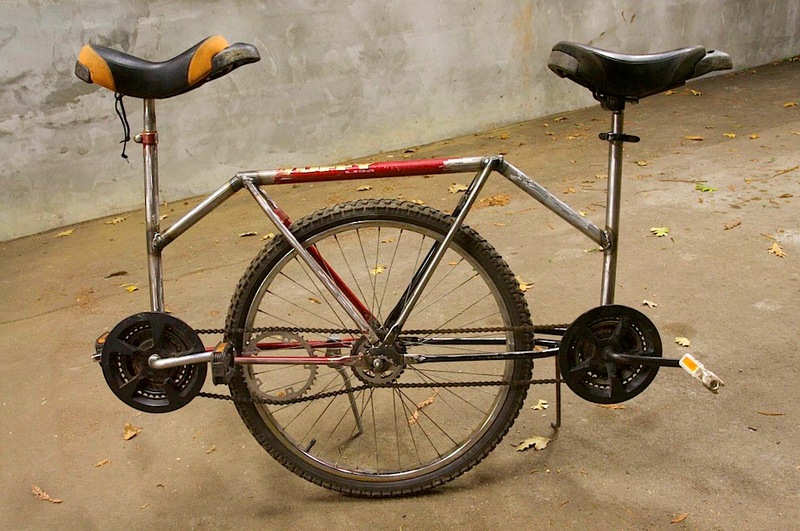 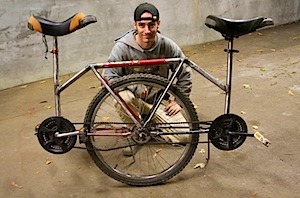 Here’s a picture of the creator and their tandem, which looks much nicer than mine! 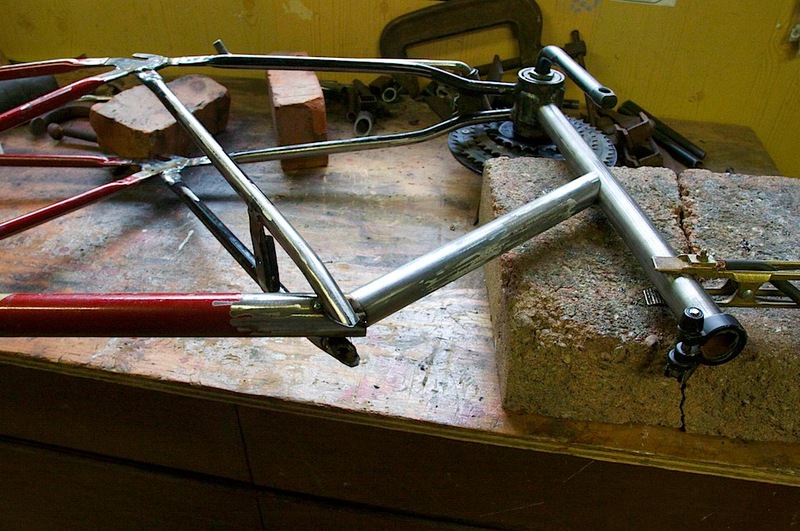 So, from seeing this uni two years ago and based loosely on this picture I set about making my own for no cost. 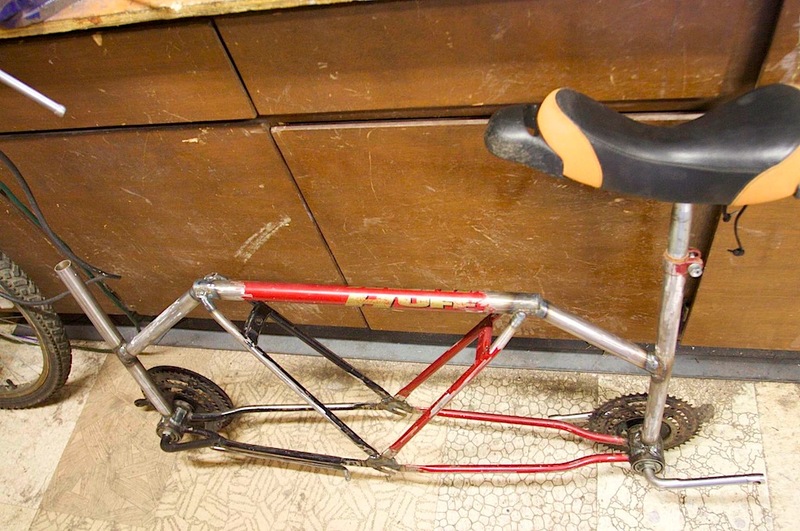 I already had two old bikes that I got for free, so I was set to begin. 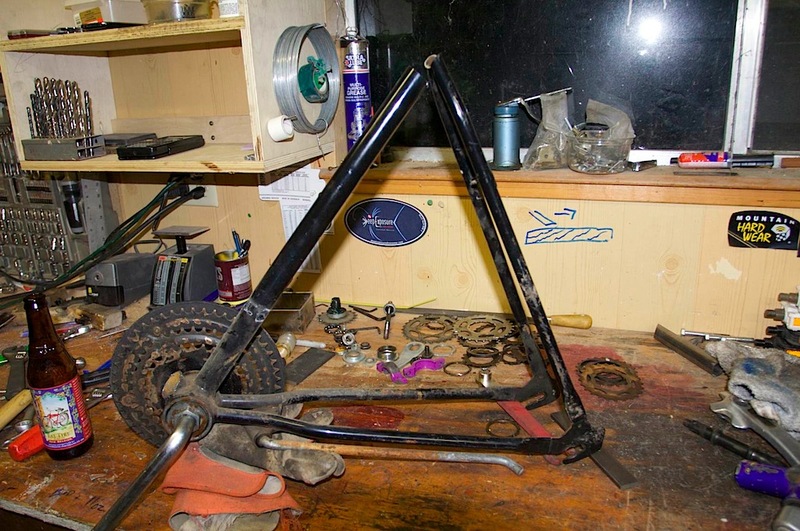 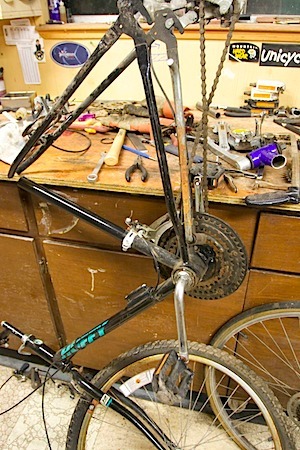 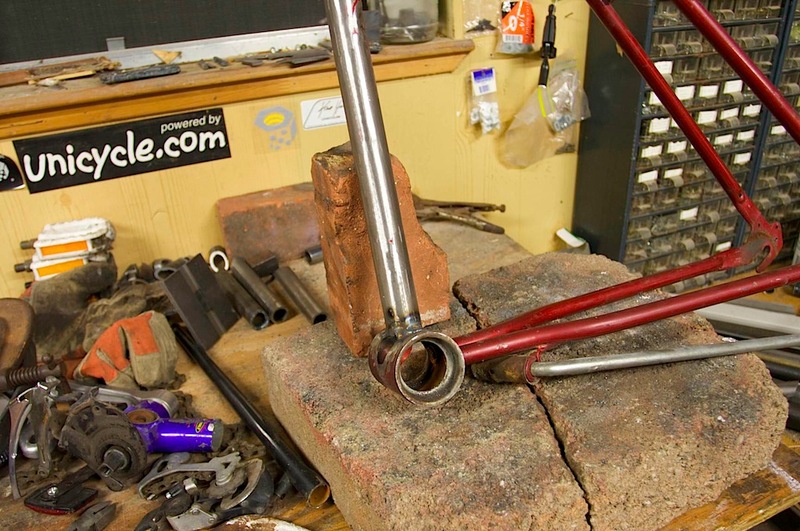 (NOTE: in this picture I already had removed the seat post clamp for another project — you should leave it on if you are making your own tandem). 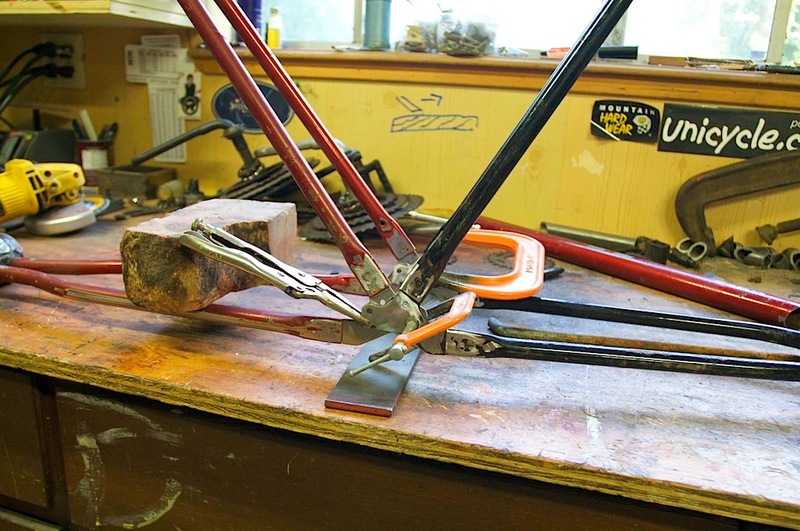 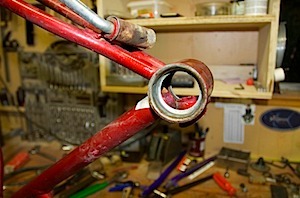 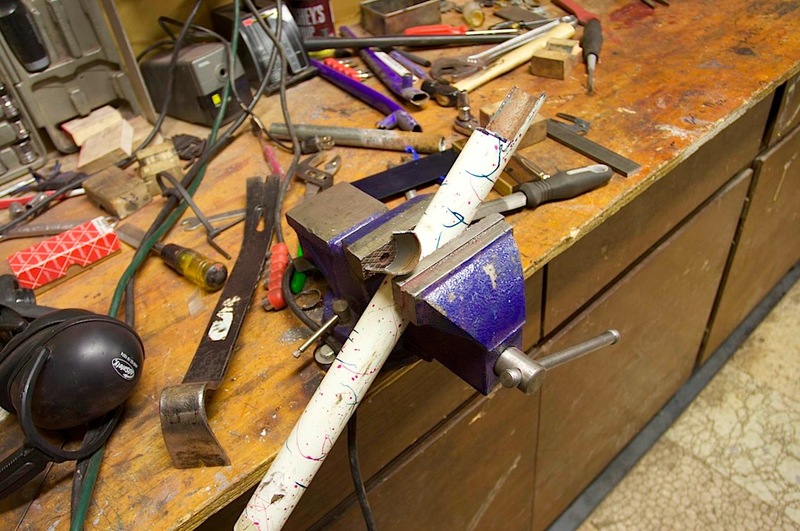 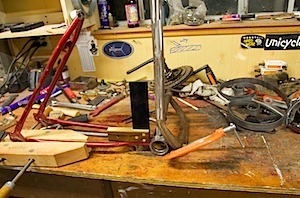 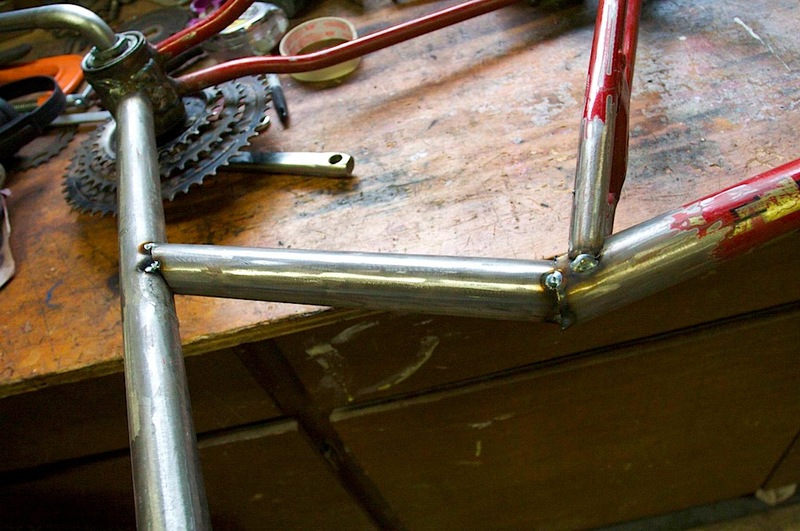 I clamped them together, making sure the bottom pieces were in the same line with each other — that way, each seat post tube is parallel with the other. 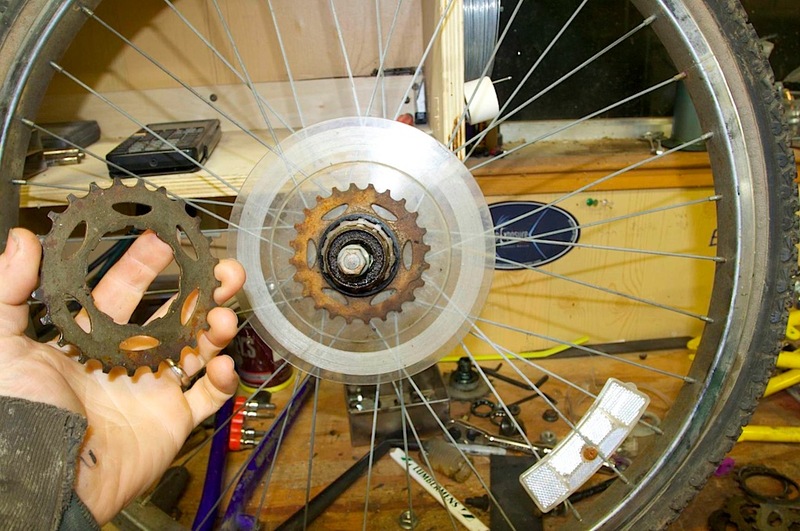 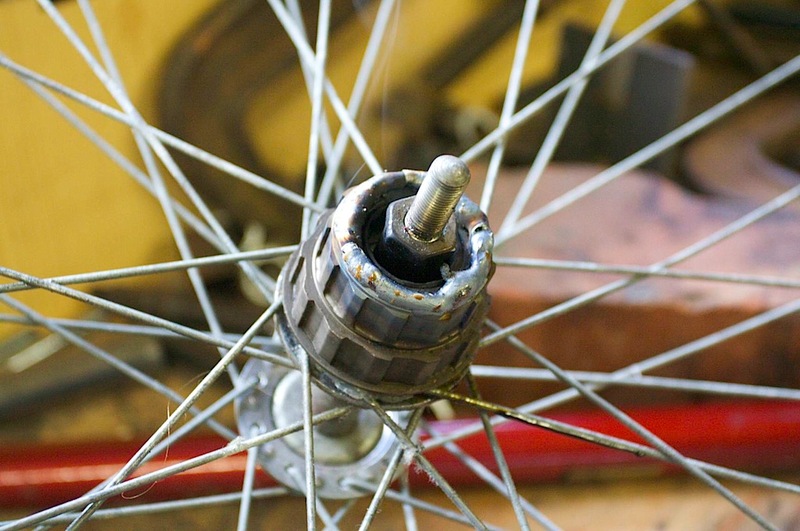 At this point I decided to weld the freewheel on the rear hub’s cassette so it wouldn’t freewheel. Note that the hub spindle still turns free. 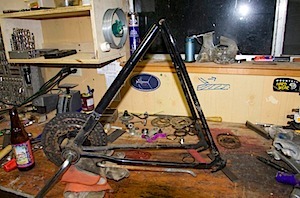 The only thing left was to weld on two sprockets in the wheel’s hub. 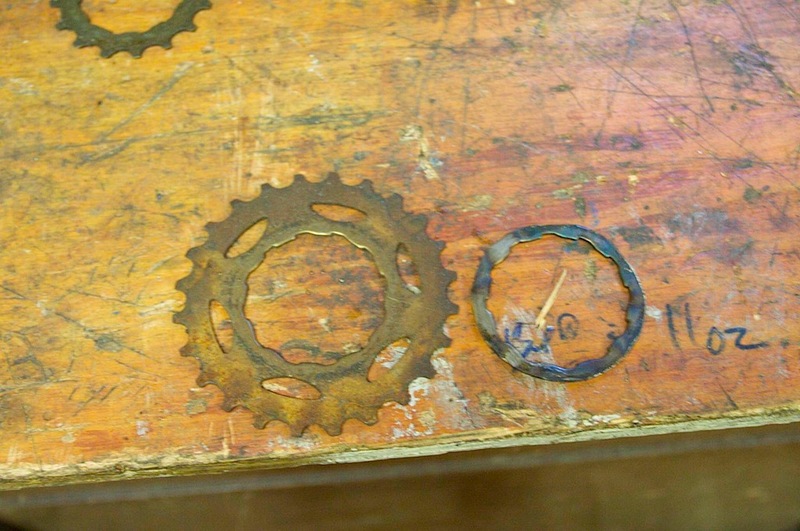 I took two sprockets of the same size (one from each cassette), with about the same number of teeth as the smaller hub sprocket (in order to get a 1-1 gear ratio). 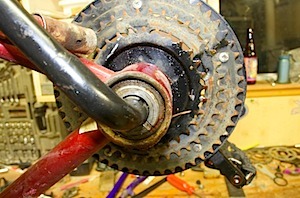 I made a spacer by grinding off some of the teeth on one of the sprockets and used some of the plastic spacers that were left. 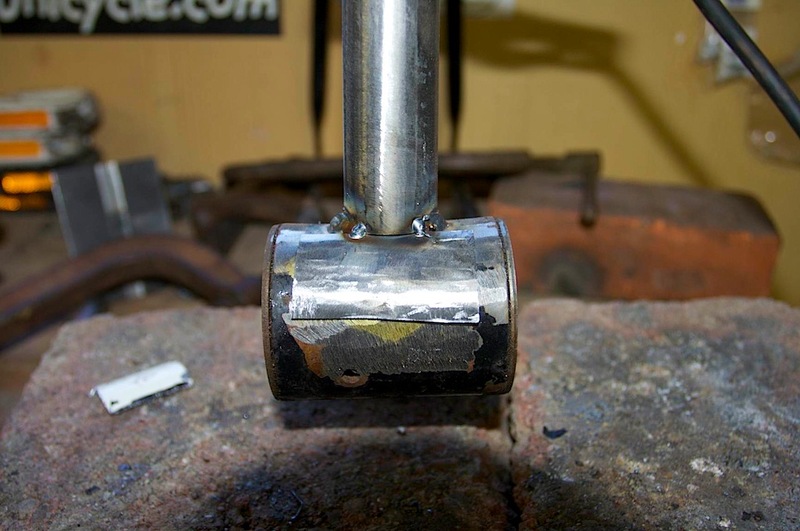 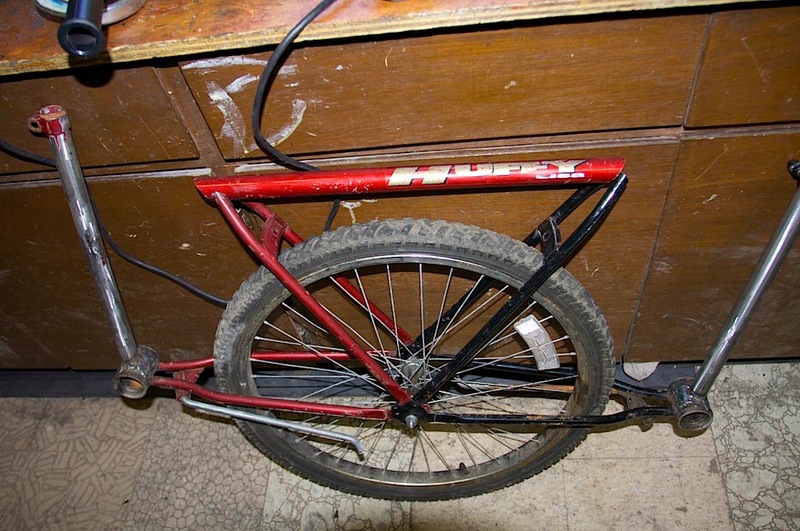 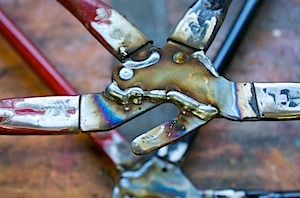 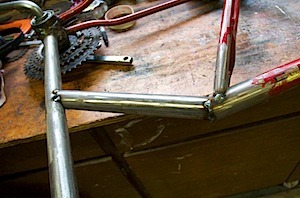 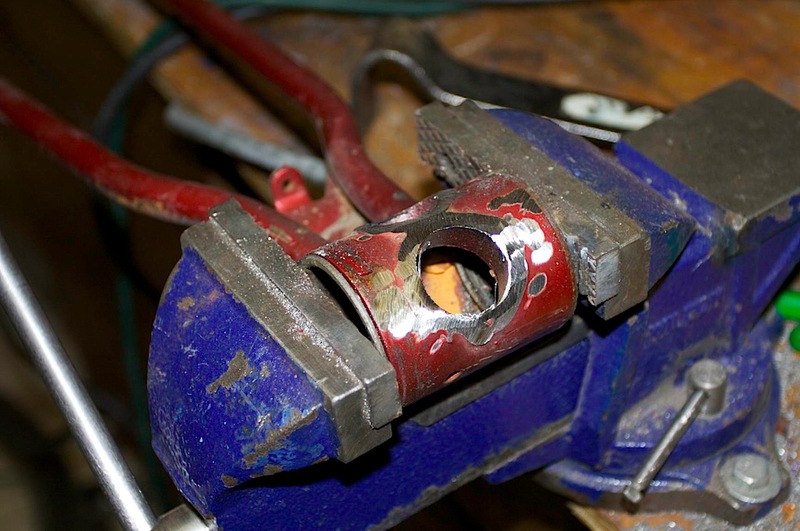 I then welded this to the hub (sorry, no picture). 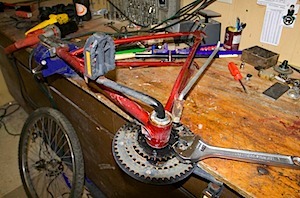 Left todo is to create a chain tensioner, and to paint the thing. 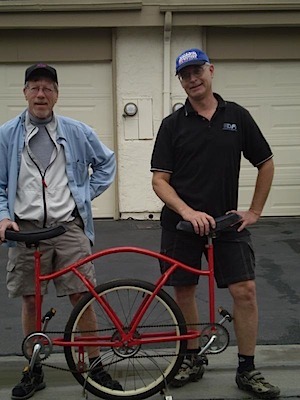 Tandem Unicycle Video - first time! 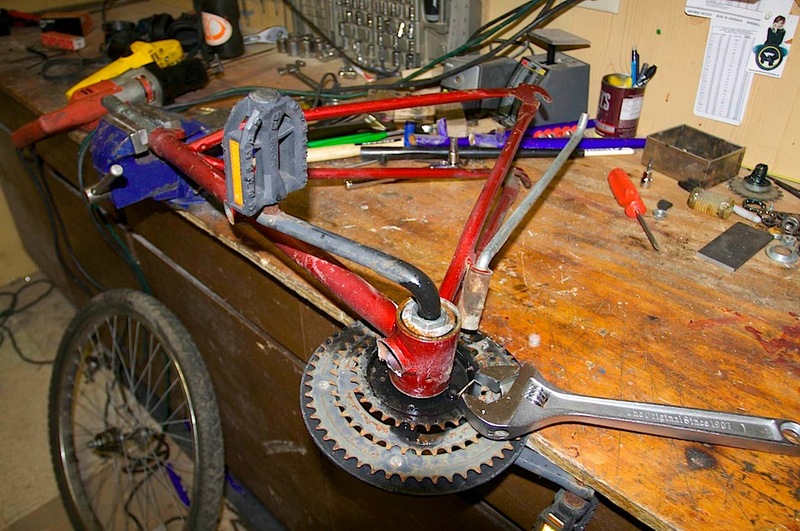 We write stories for the UK newspapers. We would love to run a story about you. 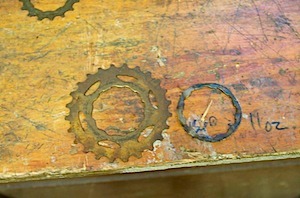 Please could you email us so we can contact you for more information. 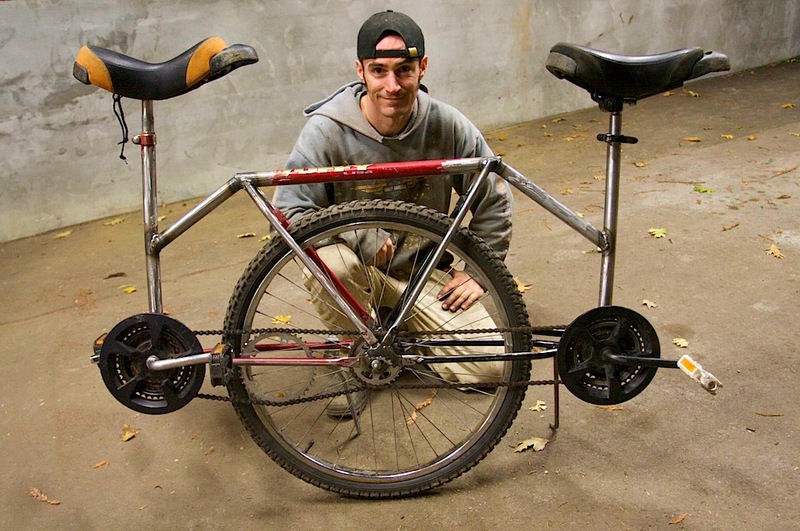 Sweet dude! 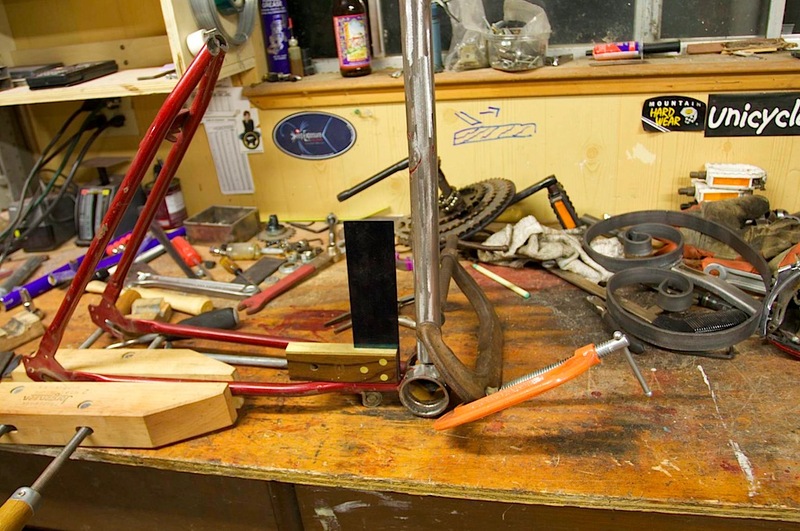 Cool to see the writeup on gizmodo! iRaff » Blog Archive » Suchst du noch ein Weihnachtsgeschenk? What you refer to as the “main drive hub” is actually a “bottom bracket”, it took me a bit to figure out what you were talking about. 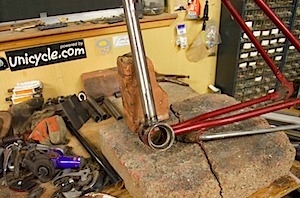 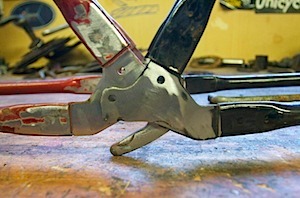 For one-piece-cranks like that, a big flat-headed screwdrivis is the proper tool, along with a hammer and maybe a pair of vise grips. They are crude, cheap, and meant to be easily serviced by 7-year-olds. As a bonus for your purposes, they can be run backwards with no problems, as the cups thread to the spindle and not to the frame.